Two questions arise when the role of a diaspora in crisis is considered. Do diasporas embody an internal threat to the security of the nation state? And why do some efforts to use diasporas as a tool of international politics succeed while others fail? In this paper, the Ukrainian 2014-2015 crisis involving Russia is analyzed in order to suggest answers to these questions. 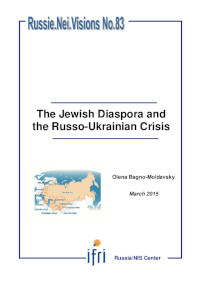 I examine the political reactions of the Jewish political Diasporas in Ukraine and Russia toward the crisis.